I was listening to a webinar earlier this week when one of the participants was touting the use of "big data" to determine what a company should be offering its customers based on weather. With all of the talk about "big data," don't forget what your can do with all the "small data" you already have on hand. When I began advertising NyQuil 20+ years ago, we used public school absentee data from the Center for Disease Control (CDC) to predict flu outbreaks and drop coupons via free-standing-inserts in markets where absenteeism was high. When working on Wondra Hand and Body lotion for Procter & Gamble, I was able to use Nielsen and weather data to show a strong negative correlation between body lotion sales and relative humidity. More people use body lotion when and where the air is dry -- go figure. Using data to improve the effectiveness of your marketing is not rocket science, it's common sense. Most recently as the director of operations and marketing for an Irish wastewater, water reuse and odor/VOC control company, I was able to show a 96.5% positive correlation between new housing permits and sales of the company's residential wastewater treatment systems based on 12 years of monthly data. While it didn't save my job in the recession, it did show how strongly the U.S. housing market affected our business. There are myriad ways to use data to improve your customer experience and your marketing. Let me know if I can help you use your data to answer a question or solve a business problem. 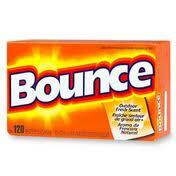 When I worked on the Bounce Fabric Softener account, I created bi-monthly Nielsen analyses for our client. Nielsen provided market share, pricing and distribution information for food, drug and mass merchandisers for Bounce, and each of its competitors. Fortunately, Procter & Gamble had been subscribing to this data for a number of years before I began working on the account so I had plenty of data with which to run single and multi-variable regression analysis. With multiple-variable regression analysis, I was able to show when Bounce was priced no more than 30% higher than generics, it gained share. When the price difference became greater than 30% it lost share. By optimizing Bounce's price, we were able to compete against generics, without losing share, while maximizing revenue. Do you have sufficient data to know the price elasticity of your brand?